Little is known about family risk factors and intergenerational transmission of psychological disturbance in the development of health anxiety (HA). This study investigated HA and related concepts in 8- to 17-year-old children who had been exposed to different maternal health status. Using a family case–control design, three family groups were included: (1) 50 case children of mothers with severe (HA); (2) 49 control children of mothers with rheumatoid arthritis (RA); and (3) 51 control children of healthy mothers. Children and mothers completed a battery of standardised questionnaires. Case children reported significantly higher level of HA symptoms than children of mothers with RA but not compared to children of healthy mothers. 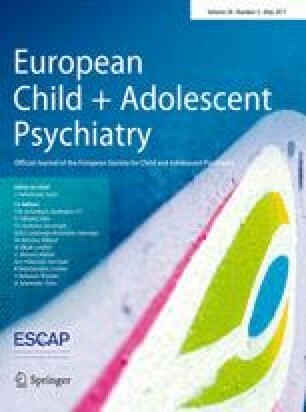 There was no significant difference between the children’s self-reports in the three groups with regard to anxiety symptoms in general, physical complaints, or quality of life. In contrast, mothers with HA reported their children as having more emotional and physical symptoms than mothers in one or both control groups. Compared to mothers with RA but not healthy mothers, mothers with HA also reported more visits to the general practitioner with their children during the past year. The findings suggest that maternal HA only weakly affects children’s own report of HA and thereby may not be a strong risk factor for the development of HA symptoms in childhood. However, mothers with severe HA seem to conceive their children as more ill and present them more often in the health care system which could, therefore, be an important target for intervention in adult patients. This study was supported by Lundbeck Foundation (Grant Number R100-A9429) TrygFonden (Grant Number 120324), and Jascha Fonden (3083). The foundation sources had no role in the study design, collection, analysis, or interpretation of the data, writing the manuscript, or the decision to submit the paper for publication. The authors wish to thank health nurse Mette Nygaard Jensen and MD Mathias Kristoffer de M Skjernov for their assistance in recruiting mothers with health anxiety, and secretary Malene Skjøth for proofreading of the manuscript. Prior to study start, the Science Ethics Committee of the Central Denmark Region (206/2011) was consulted to ensure that the study complied with the Helsinki Declaration II. The study was approved by the Data Protection Agency (1-16-02-285-12) and the Danish Health Authority (3-3013-201/1). Eligible families received detailed oral and written information about the project including the voluntary nature and anonymity of their participation. Parents gave oral and written informed consent and for children verbal assent was obtained in all cases prior to study participation.